(Longocampo represents the latin name of Campulung Muscel, the first capital around 1300 BC of Wallachia, Romania) . 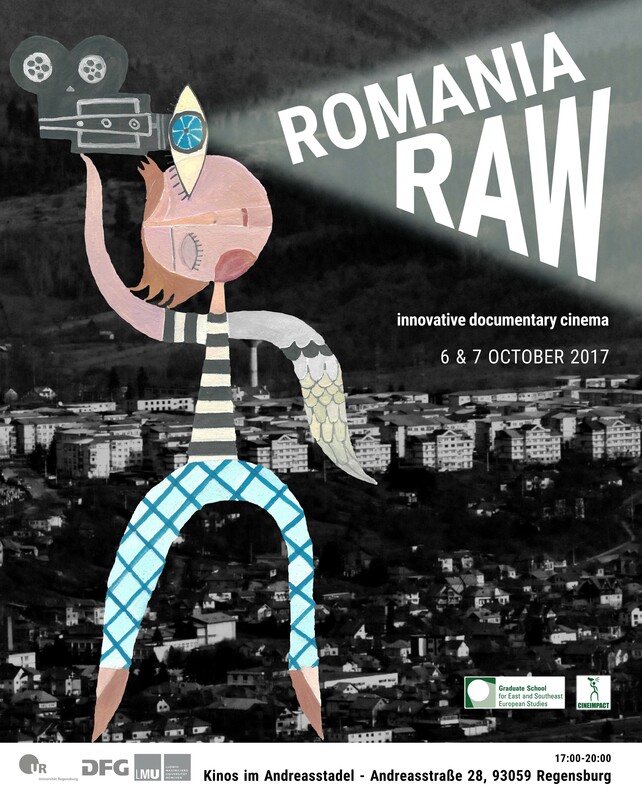 ROMANIA RAW is a micro-festival of non-fiction & hybrid filmmaking, innovating into the co-working in between Cinema and Anthropology. The screenings will be followed by debates on experimental methods in cinema with the tutors Ger Duijzings, Vintilă Mihăilescu, Ionuţ Piţurescu. Looking forward to enjoy together a creative and mindset changing dialogue on 6 & 7 October 2017, 17:00-20:00, Kinos im Andreasstadel, Andreasstraße 28, 93059 Regensburg. P.S. Good times are included during and after the screenings and debates, stay tuned!